In October 2012, OpenOil gathered a group of world class oil experts and professionals to jointly write a book which explains how to read the contracts which govern the industry. 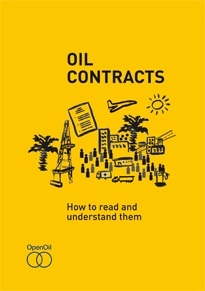 We are proud to announce that the first book about oil contracts for non-experts, “Oil Contracts – How to Read and Understand them” – is out now! "We are a transparency business, seeking market-driven solutions which produce better outcomes from the oil and gas industry for the people of producing nations." This blogger has extensive experience with the oil industry (and is author of this book, not to mention this one), and regards OpenOil as a first-rate site.